Each teacher at the co-op has their own unique style of teaching, creating a class schedule that offers diversity. Learn more about them and their teaching background! We believe in making yoga economical for all people, our class drop-ins are $10 everyday. We have mat and mat-towels available for $2 rentals. Explore a wide variety of yoga classes! Practice on one of the fastest growing renewable resources, bamboo. 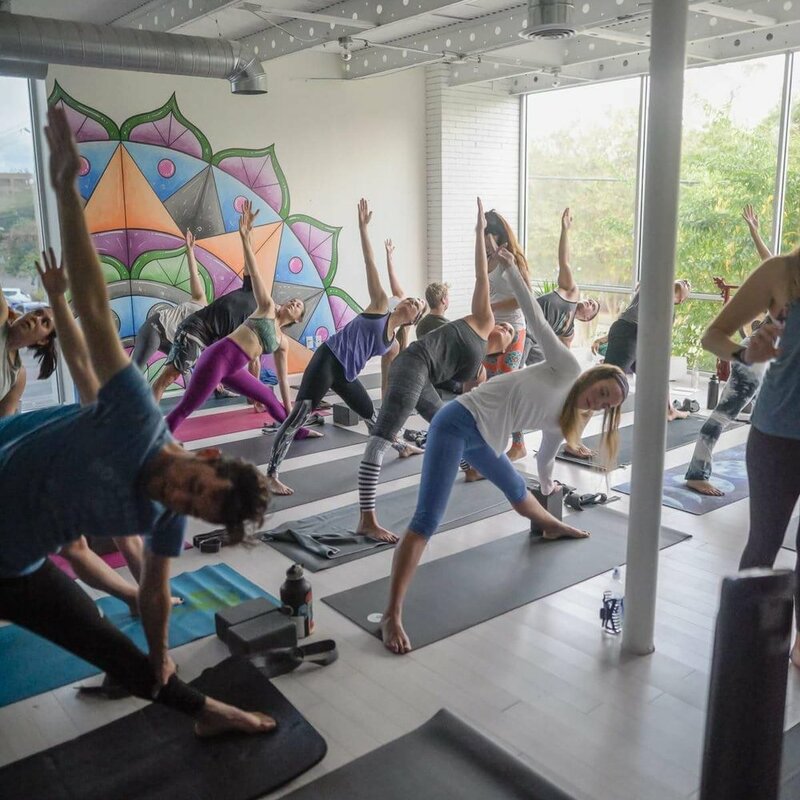 We serve water in reusable glass bottles, doing our part to eliminate single-use plastic, one yoga class at a time. Our core concepts: Accessibility, Intuition, Connection and Discovery. These concepts inspire the studio’s structure, serve as a guide in reaching our community, and shape our teaching and personal practice. We’d love to have you join us in this mission, in your practice and in life. Instagram is the best ways to keep up with class info, special events and more.